Beatriz Pascuali or as everyone calls her,“Bea”, the creative talent of Pascuali Interiors. Bea makes her home in Boca Raton, Florida, and primarily serves clients in the South Florida region. With her eye for innovative and creative design, she can transform any house into a personalized, comfortable home, where memories can be made. She brings her sophisticated but livable sense of style to all projects, large or small. Bea’s creative side often leads to the use of accent wall treatments, fabrics and colors that might not have been thought of to create an original interior that reflects the personality and lifestyle of the client. Beatriz began her career in the real estate sector. 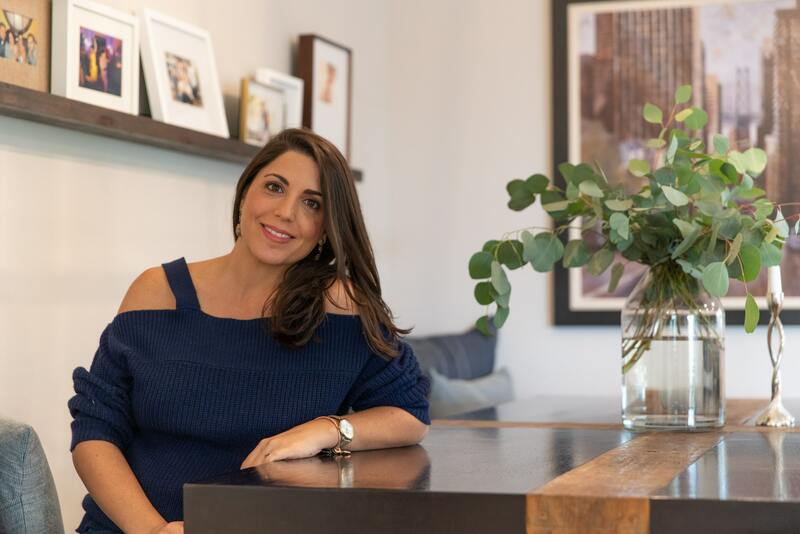 After more than ten years of experience representing builders and developers, she organically transitioned from selling houses to her true passion, decorating and remodeling homes. Bea started her own company, Pascuali Interiors, and hit the ground running. She began working with International clients who needed her to transform their dated beachfront or handy-man specials into fresh, new, turnkey vacation homes. They needed a designer they could rely on to manage all project details from start to finish while overseas. With a growing list of clients who loved their design results, Bea’s business grew quickly with referrals. Having more clients meant expanding services to meet the new demands. Some clients were interested in getting a few design ideas or having a styling session. Others wanted Bea to do all the design work but handle the buying and implementation themselves. Some clients preferred complete design services for their space with Bea managing the entire design project. As a result, Bea’s services now include a wide range of options from color consultations, do-it-yourself design plans, to full service interior styling and remodeling work. Bea believes that decorating and remodeling your home should be an enjoyable experience. She provides clients with a professional design experience in an easy, streamlined process. Having received the Houzz Service Award three years in a row, Pascuali Interiors has been recognized for consistently providing first-class service. The process begins with a Design Consultation in your home with Bea. The project scope, your tastes, preferences, and budget will be discussed as well as discovering lifestyle fit through space planning, room flow and overall aesthetics. After the design plan is approved, implementation begins. The best part is the magic of seeing it all come together!